Shields hair from the harmful effects of heat styling and UV damage. Formulated with peach, pomegranate and ginkgo-biloba extracts to add smoothness and shine while providing protective antioxidants. 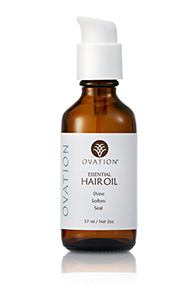 Broad-spectrum UV absorption protects color and preserves the integrity of the hair fiber.